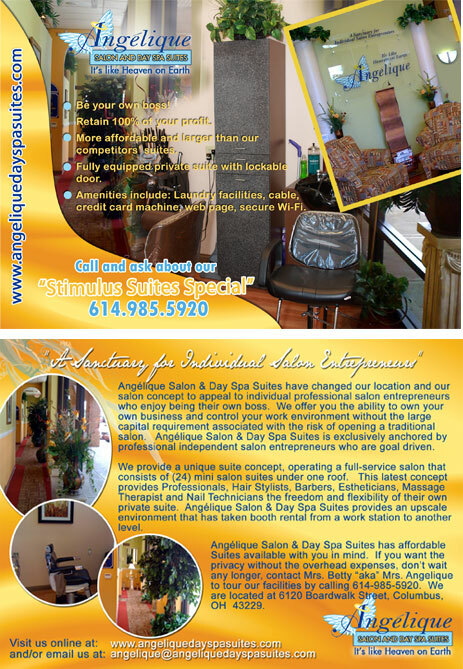 Angélique Salon & Day Spa Suites is a Sanctuary for Individual Salon Entrepreneurs. 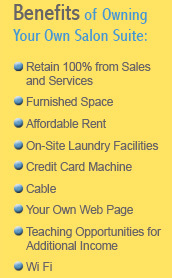 We are located at 6120 Boardwalk Street in the North end of Columbus, OH 43229. Our mission is to provide high-quality, individual salon suites enabling salon professionals to successfully own and operate their own profitable businesses. We offer you the ability to own your own business and control your work environment without the large capital requirement associated with the risk of opening a traditional salon. Additionally, you can concentrate on servicing your clients like the Kings and Queens they are versus managing other salon professionals. 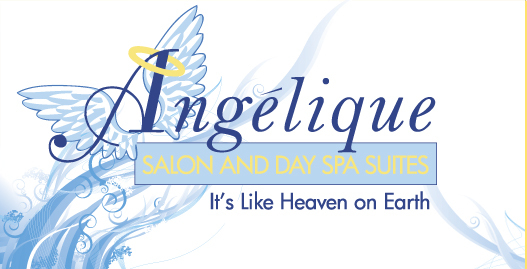 Angélique Salon & Day Spa Suites is exclusively anchored by professional independent salon entrepreneurs who are goal driven. More specifically, we are a unique suite concept with mini salons under one roof of approximately 5,000sf. This latest concept provides Professionals Hair Stylists, Barbers, Estheticians, Massage Therapist and Nail Technicians the freedom and flexibility of their own private suite. 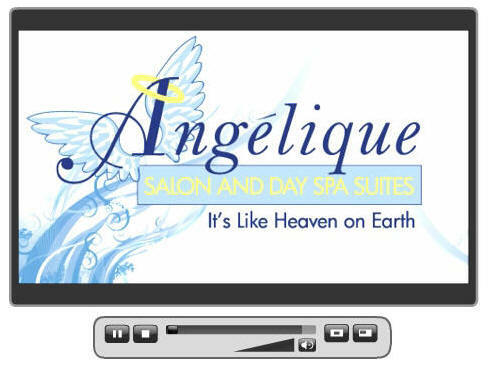 Angélique Salon & Day Spa Suites provides and upscale environment that has taken Booth Rental of a work station to another level. Our concept also allows each entrepreneur salon professional to set their own prices, hours, retail their own products and make their own appointments in a clean and professional atmosphere of team players who are serious about their line of business. Each suite is a separate business with a locking entrance, everything you need to run and build your own business is under one roof. To make your next appointment, click on Salons/Services and contact the salon of your choice. If you are a beauty industry professional, visit the Your Own Salon page for a career opportunity made just for you. 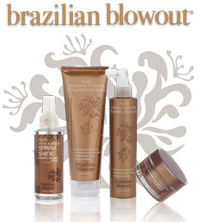 You can also obtain many of your continuing education required hours through the American Beauty Institute of Ohio. Click the Continuing Education button for a current class schedule.